Dogs bark – there’s no question about that. While we humans find this habit annoying now, it was actually a main reason that we kept dogs around for generations. 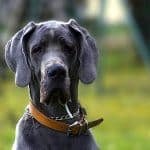 That’s especially true for many big dogs – what’s the point of a guard dog who doesn’t scare off intruders with an alert gaze and intimidating bark? The downsides of your dog’s genetic legacy can result in noise complaints and interrupted sleep. So how do you get a dog to stop barking? Whenever someone asks me how to stop their dog from doing something, I encourage them to rephrase that question into something that’s not a “dead dog behavior.” A “dead dog behavior” is anything that a dead dog could also do – not bark, not jump, not steal food, or not chew on socks. Your dog grabbing a squeaky toy to greet guests with. Having your dog touch your hand with his nose instead of barking at passing dogs. Asking your dog to come lie at your feet with a chew toy during storms. Why Not Just Punish Your Dog for Barking? The thing is, it’s actually a lot easier to train your dog to do something than it is to teach your dog not to do something. That’s especially true with something as deeply instinctive as barking. For most dogs, their barking is more similar to your gasp of surprise or yelp of fear than it is to your highly controlled speech. It’s hard to use punishment to get rid of a behavior that’s that reflexive and deeply ingrained. That’s why I do not recommend the use of bark collars, whether they use citronella, shock, or vibration. 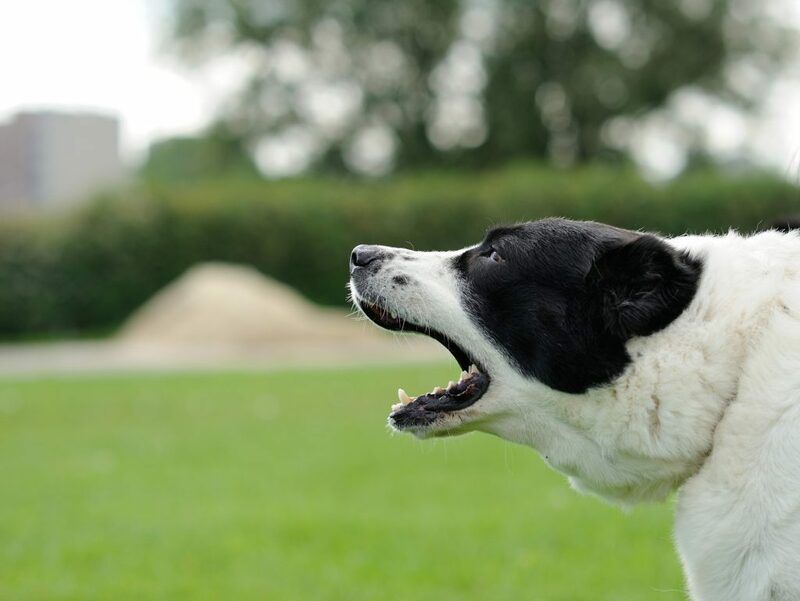 Many dogs bark because they’re startled, scared, upset, or excited. Punishing them in that moment (which is what those collars do, because punishment is something that reduces the frequency of a behavior) only adds stress to the situation. It doesn’t teach your dog how to react to his emotions in a different way. Some dogs aren’t barking because they’re scared, but rather because they want something. We’ll talk specifically about demand barking at the end of this article. I’ve also seen cases of dogs who channel that nervous energy, fear, or frustration in other ways when they learn not to bark. I’ve seen dogs who start to destroy couches or bite their owners – because they don’t know what to do instead of barking. Now that we’ve agreed to use a replacement behavior instead, it’s time to get to work “installing” it. One of the common mistakes that I see here is owners attempting to teach their dogs “live” rather than setting up good practice scenarios. Your dog probably isn’t in a state to start learning when he’s barking at the door, at a passing dog, or at the wind. He’s already too aroused to really be ready to learn. It would be like trying to learn a new skill while your favorite team is tied in the playoffs – it’s just not going to go over well! Don’t set yourself up for getting frustrated – practice your chosen replacement behavior outside of the exciting, bark-inducing contexts. Let’s say that you’ve chosen to teach your dog to do a hand target instead of barking. That’s my go-to response for almost everything – your dog can’t be doing most naughty things if he’s putting his nose to your hand instead. I “proof” this behavior using the “Can You Listen When…?” game. Essentially, this game outlines a whole bunch of different distractions for your dog. This allows you to ensure that your dog really knows how to do a behavior before you try to put in play live. 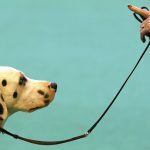 When your dog is learning a new skill, it’s likely that she can only listen in certain contexts. That’s not uncommon! When I was first learning multiplication, I struggled with getting it right if the environment was too distracting or stressful. The same goes for your dog! Too often, we do the equivalent of asking your dog to multiply 23 x 17 at an amusement park, when really your dog is only ready for practicing 8 x 6 in a quiet classroom setting. In the “Can You Listen When…?” game, we introduce your dog to a variety of distractions including different places, different surfaces, loud noises, tempting toys, enticing food, and other people or dogs. An important point is that there’s no “or else” in this game. It’s meant to be fun! If your dog can’t listen when something is going on, that’s just information for us. We need to practice more at that task, not punish our dog to show him how wrong he is! Until your dog is doing well with your chosen replacement behavior and this game, don’t expect the replacement behavior to work! 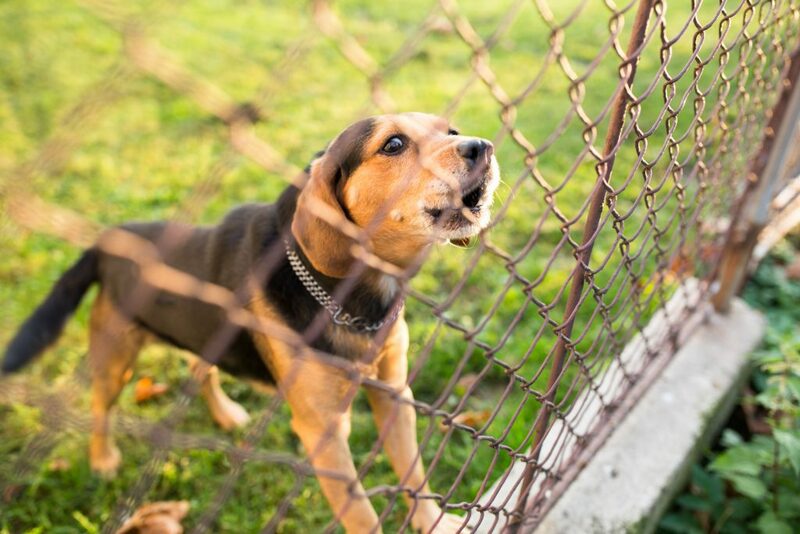 What situations cause your dog to bark? Is it the doorbell? The mailman? Dogs passing by? Leaves? Squirrels? Guests? The thing that causes your dog to bark is called a trigger. Now that your dog is a pro at the “Can You Listen When…?” game, it’s time to start practicing with your dog’s actual triggers. If your dog barks at the door or other sounds, try using the Train Away App to practice. This app allows you to use different professionally recorded sounds to train your dog. You can schedule them to go off at semi-random intervals. Using a decent speaker, you can quickly teach your dog to ignore thunder, doorbells, door knocking and more! Set up a low-level version of your trigger. That might mean an ultra-quiet door knock, a far-away squirrel, or another dog that’s across a field. Ask your dog to complete his replacement behavior in the presence of the trigger. Reward if he gets it right! If he gets it wrong, make the trigger less intense and try again. What if This Isn’t Working? If you’re getting really stuck, we might need to backtrack to using counter-conditioning. For less-intense cases, a replacement behavior alone will be enough. But if your dog gets really riled up about his triggers, you might have to start with counter-conditioning. All we’re doing here is teaching your dog that his triggers make chicken rain from the sky. So if your dog barks at the door, simply knock very quietly and then drop a piece of chicken to your dog. If your dog barks at other dogs, feed him chicken whenever you see another dog. 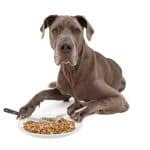 Feed your dog even if he barks. For counterconditioning to work, the trigger must always produce the chicken. It’s astonishing how quickly your dog will start barking and start looking for treats with this approach! What if My Dog Barks at Me? In this behavior, a dog barks at his owner in order to get the owner to feed him, play with him pet him or otherwise engage with him. It’s common, and it’s frustrating! 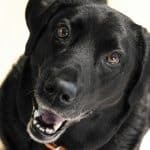 I still don’t recommend using punishment here because your dog might actually perceive the punishment as attention, and therefore a reward for the behavior. If your dog barks at you, leave the room for 30 seconds. When you come back, give your dog a stuffed Kong or something else to entertain him. Try to give Kongs before your dog barks as well as a pacifier. Address your dog’s physical and mental needs more thoroughly. Most dogs who demand bark are bored or under-exercised. Try playing impulse control games to educate your dog and tire him out more. The time-out approach only works if it’s paired with the other two components. If you just keep leaving the room and not changing anything for your dog, you’re likely to build his frustration and make the problem worse. Consistency with this problem is also key. Don’t talk to your dog or switch up your approach too often. Just teach your dog that barking makes the owner go away. 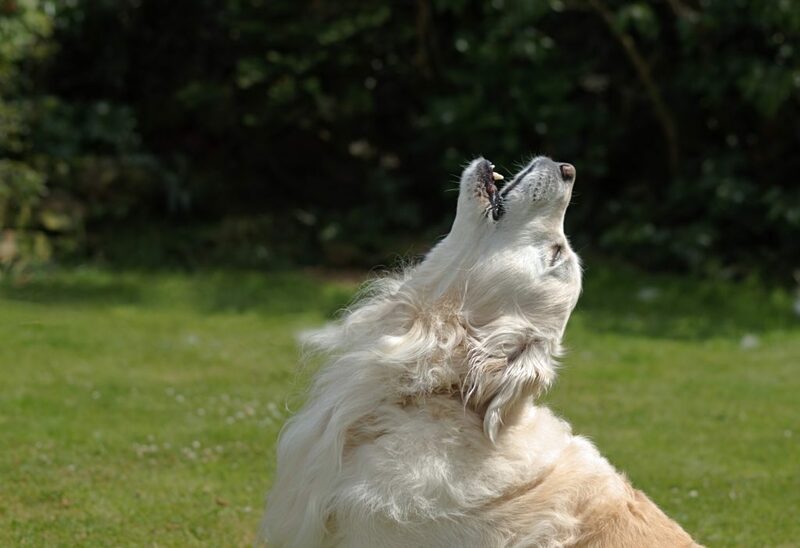 Understanding the causes behind your dog’s barking and teaching a replacement behavior is one of the best ways to get a dog to stop barking. 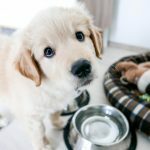 How Can I Calm My Aggressive Dog?